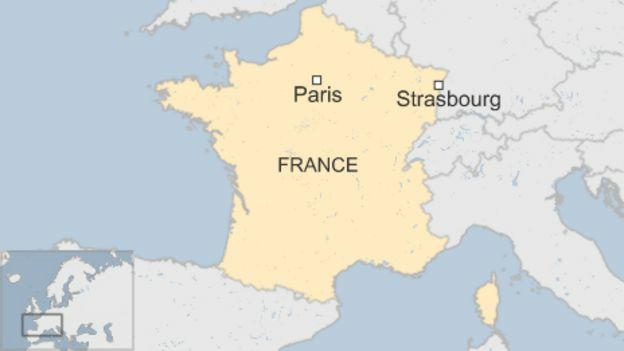 A high-speed TGV train has derailed near the eastern French city of Strasbourg, killing five people and injuring seven, local media report. 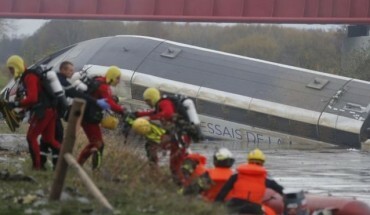 The crash happened during a test run in the town of Eckwersheim, on a new Paris-Strasbourg line. Reports say technicians were on board the train. The injured have been taken to hospital by helicopters. The AFP news agency is quoting sources as saying the derailment happened due to “excessive speed”. 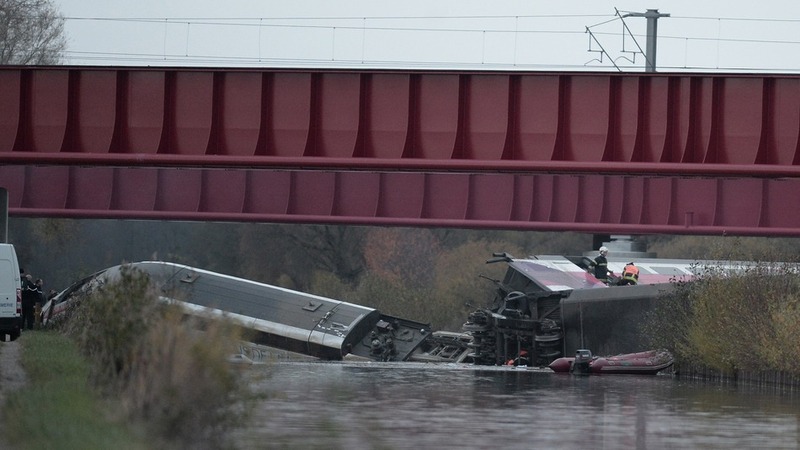 Pictures later showed the locomotive partly submerged in a canal alongside the tracks. Wreckage was also scattered in a field beside the track. Rescue teams – including divers – are working at the scene. Reports say the Paris-Strasbourg high-speed line is scheduled to open next year.